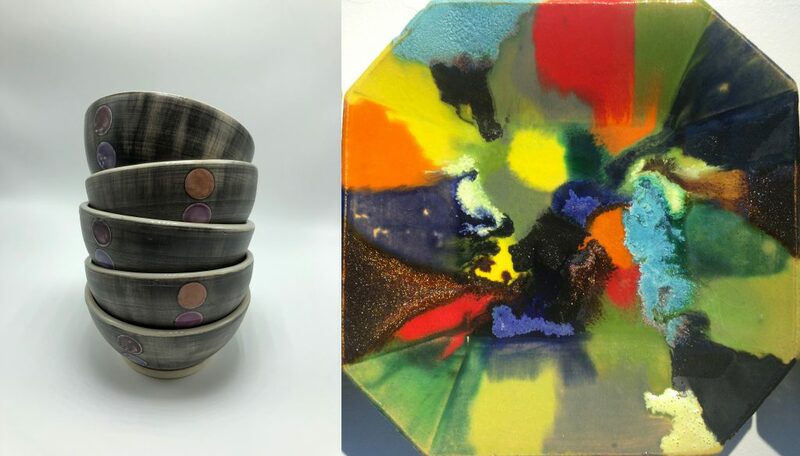 Bowl-O-Rama is a weeklong workshop that focuses on ceramic skills intensification through the making of bowls. Students will be led through a series of exercises intended to develop throwing and hand building techniques, and to encourage the emergence of a personal style. Ongoing discussions on material choices such as clay and glaze pallet development are interwoven into daily demonstrations. Participants are welcome at any level; basic throwing skills and a cheery disposition are beneficial. This workshop is also in support of the biennial “Ramp It Up” fundraiser for Second Story Women’s Centre, in Lunenburg. Douglas Bamford lives in “Old Town”, Lunenburg, N.S., and is busy with a vibrant studio practice, a passion for gardening, and being on the water. Douglas holds a diploma from Sheridan School of Design, 1975, where he majored in both furniture design and ceramics, and a BFA in Ceramics and a B.ED (Art Education) from NSCAD University in 1995. Douglas has a rich background as a ceramic artist, a builder, furniture and fixture designer, educator and public artist. He recently completed a major Architectural Ceramic commission, a public installation entitled; “ Making Steel” in Sydney, Cape Breton. His stated inspiration: “As an artist and designer I have a love of useful and beautiful objects. My art is an investigation of the history of ornamental language, using such timeless icons as architectural ornament and ceramic tile pattern. I am currently working with what I see around my town, the Town of Lunenburg, Nova Scotia.